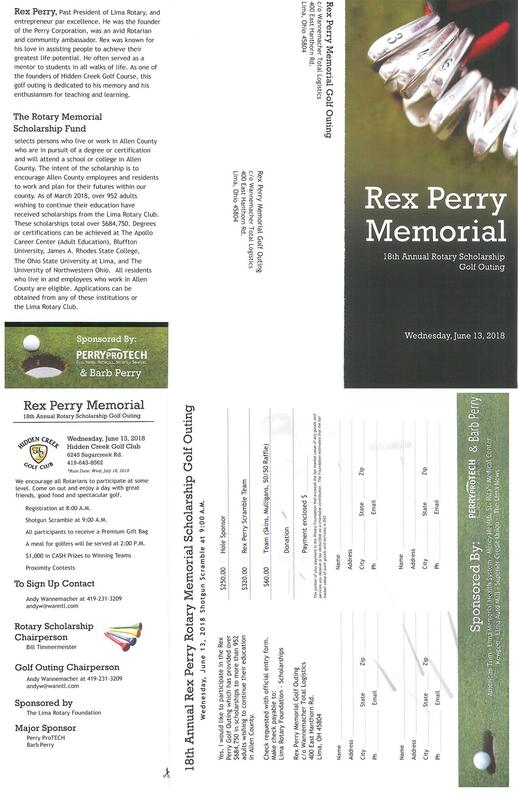 The Rex Perry Memorial Golf Outing is June 13. Please sign your team up now and help us raise money for scholarships for non-traditional students. You don't have to be a Rotarian to play, so please join us!